Amazing! Best experience my husband and I have EVER had at a dealership! From the initial internet inquiry all the way through delivery the process was no nonsense, painless, and in and out. Drew was AMAZING!!! Ryan was also great to work with! Definitely will be back for any future car purchases! 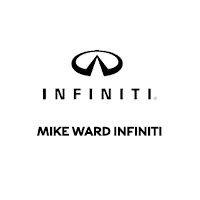 Always a fantastic experience at Mike Ward INFINITI. Great owner, great sales people, great financial department, and an incredible service center. Worked with Barb and Elijah, and it was an absolute pleasure. When I walk into a dealership, my guard is up. Here, it doesn't have to be. They're honest, realistic, knowledgeable, respectful, and incredibly helpful folks. They'll have my business for as long as I'm alivePlus, who doesn't wanna be behind the wheel of an INFINITI?